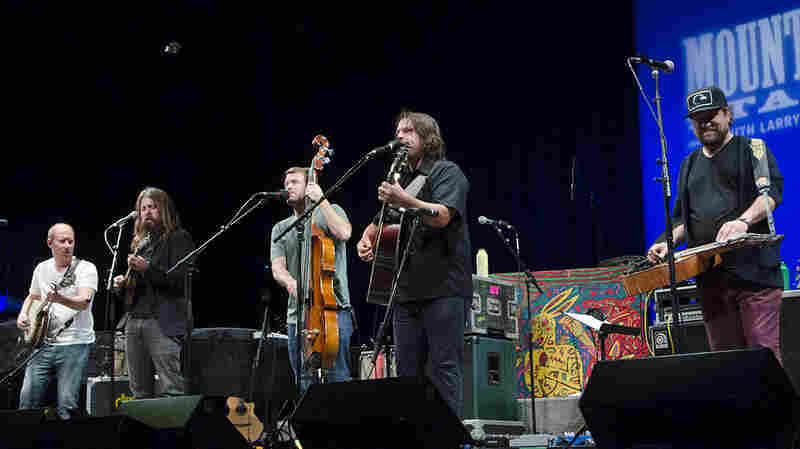 The Travelin' McCourys Featuring Keller Williams On Mountain Stage The Travelin' McCourys are known for combining their bluegrass roots with modern sounds. 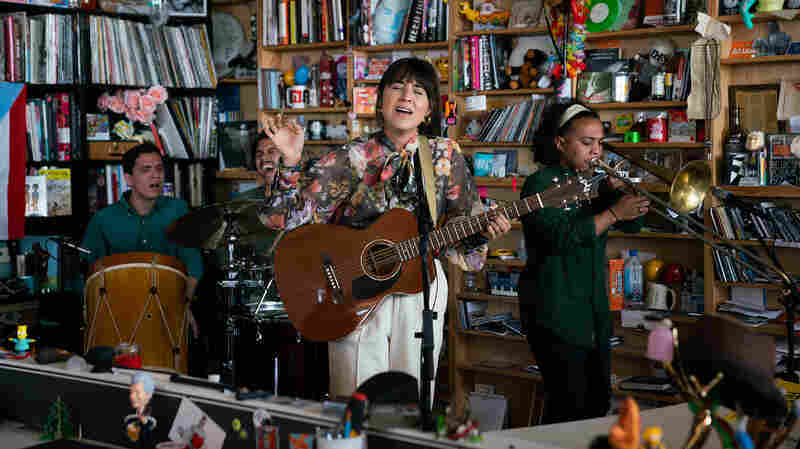 Their latest collaboration with experimental guitarist and singer Keller Williams epitomizes this. 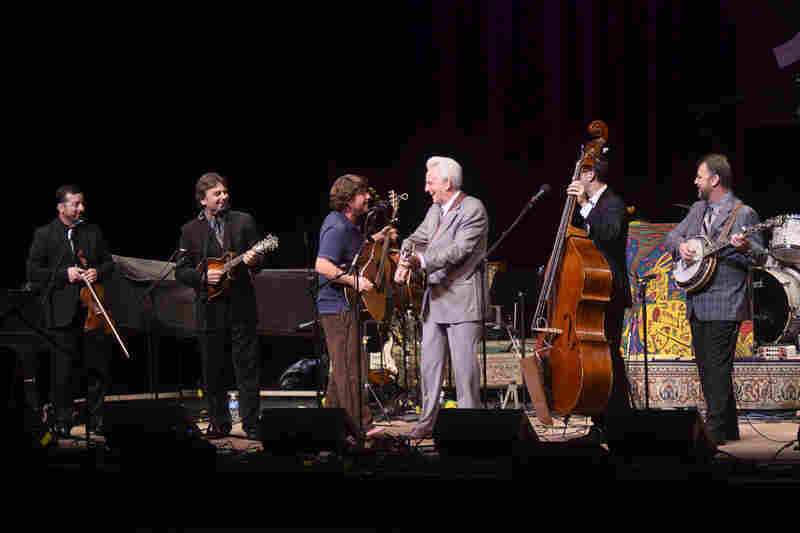 Bluegrass legend Del McCoury (in gray suit) made a special appearance for the song "Bumper Sticker." 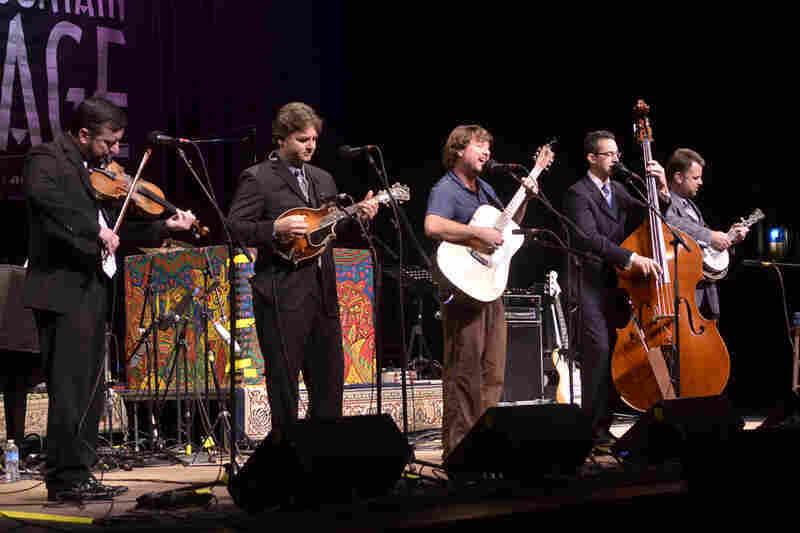 By collaborating with experimental guitarist Keller Williams, the Travelin' McCourys continue their tradition of combining bluegrass with modern sounds. 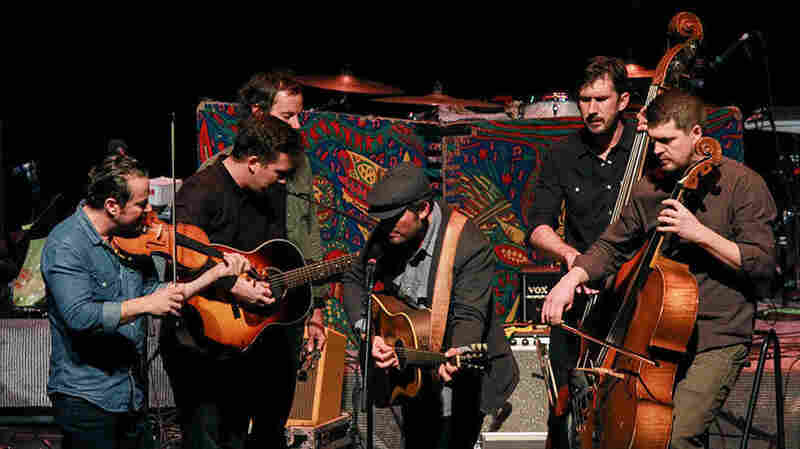 The Travelin' McCourys and Keller Williams rely heavily on bluegrass instrumentation, even as they cover pop songs like Jessie J's hit "Price Tag." 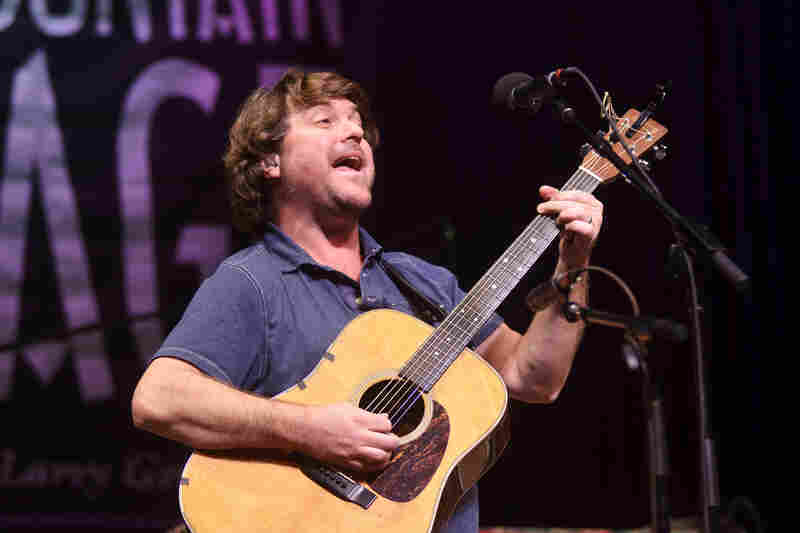 Keller Williams is known for his experimental acoustic sound. 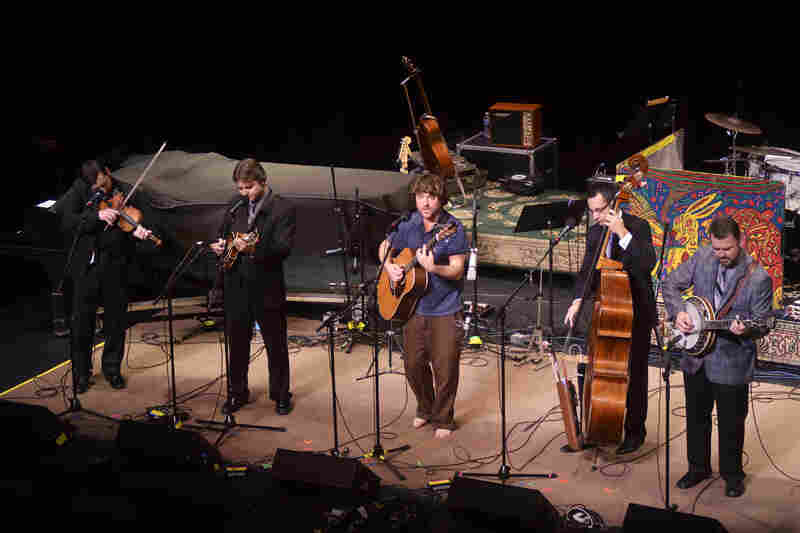 Keller Williams and the Travelin' McCourys appear on Mountain Stage, recorded live in Charleston, W.Va.
Comprised of four-fifths of The Del McCoury Band, The Travelin' McCourys are known for their penchant for keeping one foot in traditional bluegrass as they extend the other into more modern sounds. 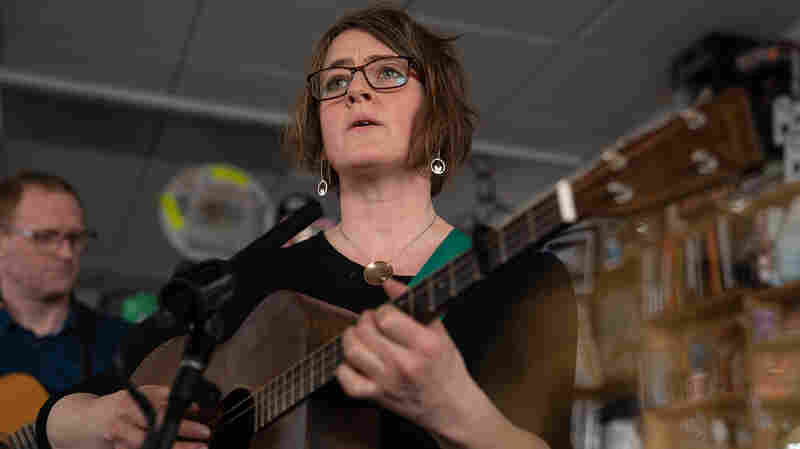 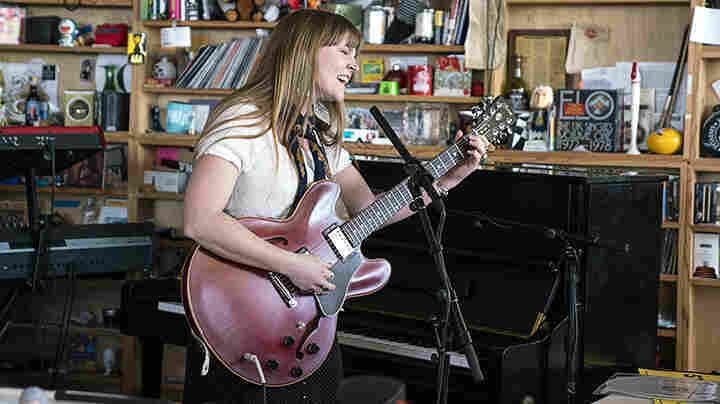 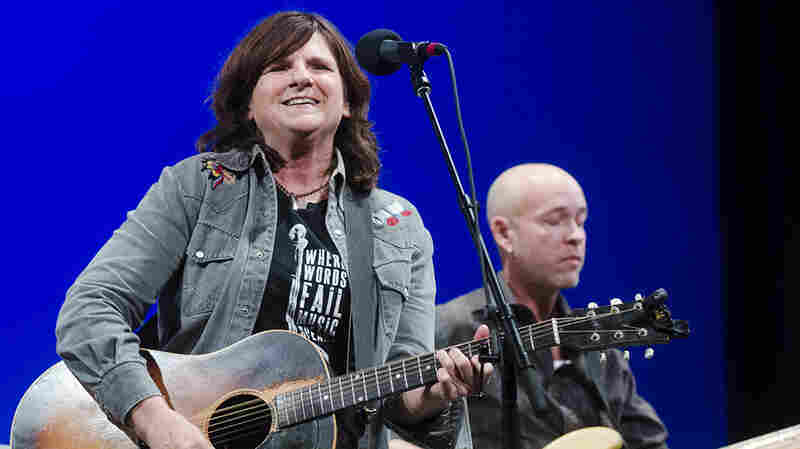 Their latest collaboration with experimental guitarist-singer Keller Williams is a prime example: The band relies heavily on bluegrass instrumentation, while stretching out into humorously self-aware numbers like "Mullet Cut" and "Bumper Sticker." 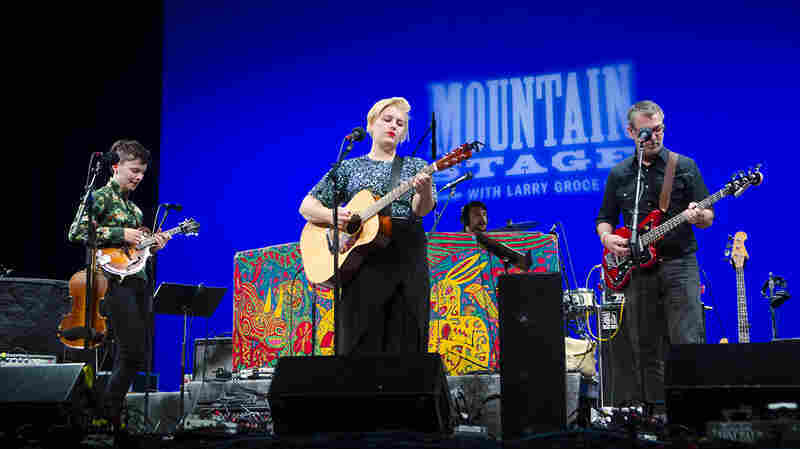 The latter features an appearance from bluegrass legend Del McCoury, a Mountain Stage veteran. 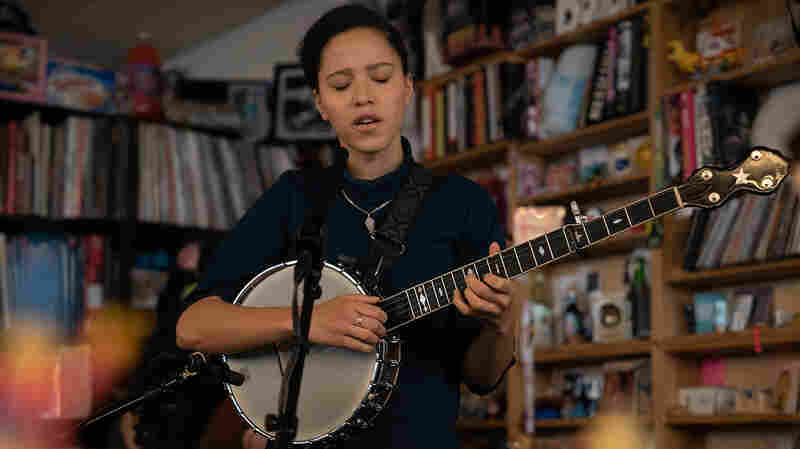 The highlight of the set comes with the unexpectedly lovely cover of Jessie J's hit "Price Tag," which subtly recalls the song's reggae and funk influences. 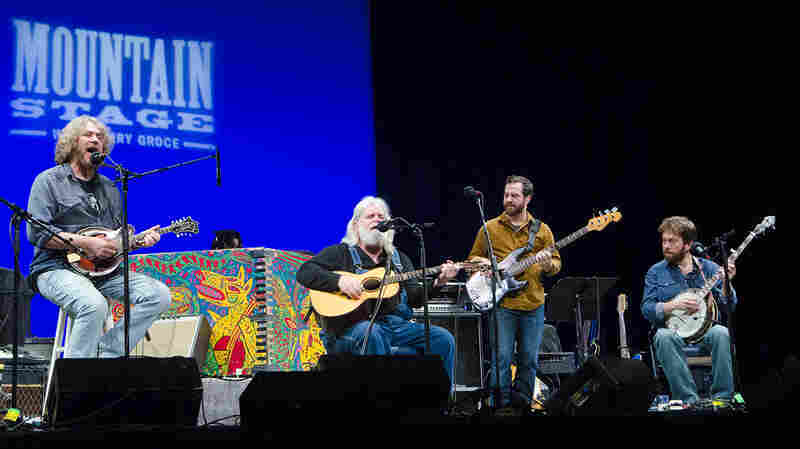 Bandleader Ronnie McCoury plays mandolin along with Jason Carter on fiddle, Alan Bartram on bass and Rob McCoury on banjo.